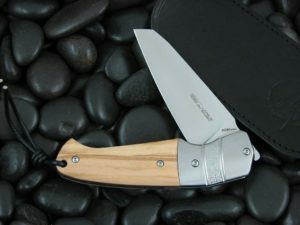 The Viper Novis, designed by Fabrizio Silvestrelli, is a folding knife with an extremely modern design, which contains the common details to all of the Viper production: it is extremely elegant, but also handy in everyday use. The blade, with a modified Wharncliffe shape, has an almost straight line and a strong tip and, thanks to the Böhler M390 Microclean steel, has an extraordinary cutting capacity and long life. 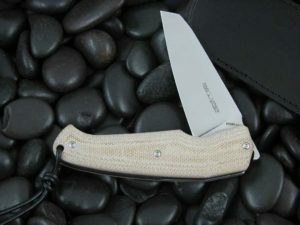 Novis has an extremely strong Liner-lock locking system that locks the blade firmly. It is available in seven versions with different materials handles. 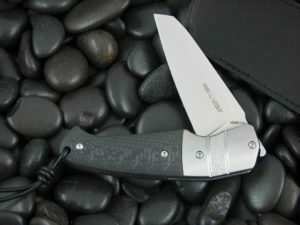 The knife is also available with the chiseled titanium bolsters who make it very elegant: a true gentleman’s knife. Novis comes with a refined leather pocket sheath.